What Are Consecutive Numbered Labels? Consecutive numbered labels help medical professionals identify and track laboratory instruments and samples throughout a medical lab or facility. Consecutive numbered labels are used to track a wide range of laboratory assets and patient samples and specimens. They are also used in conjunction with patient medical records to ensure chain of custody. Plus, if systems are down, consecutive numbered labels work as a perfect manual backup system. 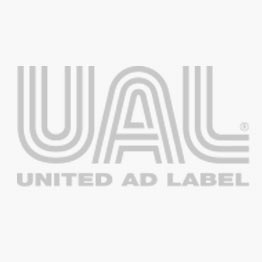 United Ad Label consecutive numbered labels are available in many different number sequences. The products include number sets that repeat from one to five times and number series that are available in one thousand number increments. UAL consecutive numbered labels contain a permanent adhesive and are in stock and available for immediate shipment. Consecutive Number Label Set, 1" x 1/4"
Consecutive Number Label, 1" x 1/4"